Padmaavat starring Deepika Padukone, Shahid Kapoor and Ranveer Singh is the big event film of 2018. Film is finally released after lot of troubles. Hype and buzz of the film is all time high. There is curiosity to watch the film among theater going audiences. Curiosity is even more considering film is facing lots of controversies leading to its release. Padmaavat is directed by Sanjay Leela Bhansali whose last release was Bajirao Mastani which was a big Hit at the time of its release. Padmaavat is also the costliest Bollywood release till date. Around INR 190 crore is the landing cost and a lot is riding with it. 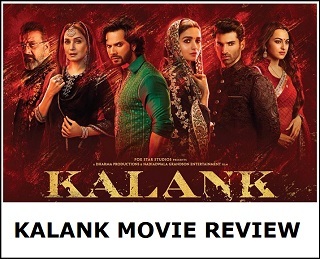 With so much of expectation let's start the movie review of Padmaavat. Let's see whether film matches the pre-release hype and expectations. Story - Padmaavat is the story based on poem of Malik Muhammad Jayasi's Padmaavat which is set in 1300 AD medieval India. Queen Padmavati (Deepika Padukone) is known for her exceptional beauty along with a strong sense of justice. She is also the wife of Maharawal Ratan Singh (Shahid Kapoor) and pride of the Kingdom of Chittor. The legend of her beauty reaches the reigning sultan of Hindustan, Allaudin Khilji (Ranveer Singh). He lays siege on the impregnable fortress of Chittorgarh. After a gruelling 6 months, he returns empty handed. He becomes more obsessed and now wants to capture Chittor and its Queen at any cost. 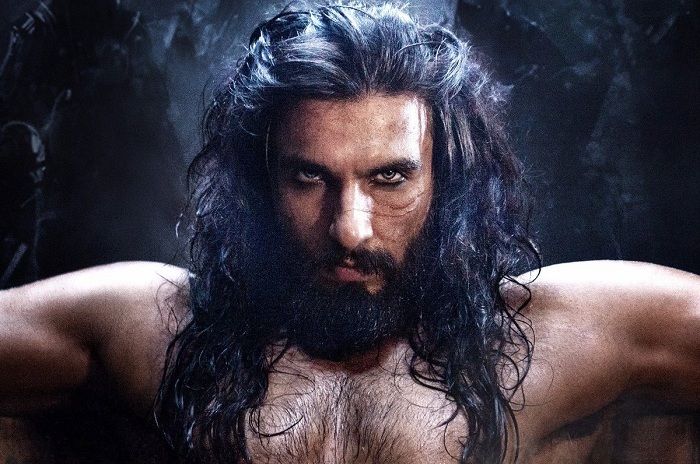 Will Khilji able to conquer Chittor? Will be able to meet Rani Padmavati? For all this, one has to watch the film. Padmaavat first half if simply fantastic. Film looks spectacular. Each frame is a visual delight. There is no major loo break till interval. Post interval, film drags. Screenplay is loose in few portion post interval. Film rides on water thin plot. Yes, one can't change the history. But film could have been easily trimmed by 15-20 minutes post interval. Good part is film picks up again as Climax is reached. However, as film picks up towards the climax it again gets stretched. Honestly screenplay is inconsistent post interval. Yes, there is no doubt that Padmaavat is a visual spectacle. Sets looks magical. Every penny is well spent. Sanjay Leela Bhansali delivers another film with magic in each and every frame. Hope we can say same for his direction. Direction of Sanjay Leela Bhansali is strictly ok. We know he is a magician and expectation from him is colossal. Yes, he is good again but not on the level of Bajirao Mastani. Honestly we wanted his direction to be one step ahead of Bajirao. In reality it is not. Another important point is that few scenes in the film are way too convenient. Few may dislike it considering it is based on true Indian history. Another point we like to raise is that. There is one point in the film where Khilji dances. That scene is simply unnecessary. This mentioned scene arrives as a big speed break. In fact Khilji looks like a joker not a brutal warrior at that point. Now coming to performances. Deepika Padukone looks simply stunning in the character of Rani Padmavati. She delivers her best again with the role. She is the heart and soul of the film. Padmaavat is one of her best performance till date for sure. Ranveer Singh looks every inch as Allaudin Khilji. He looks menacing from first frame till last. This is Ranveer's best work till date. There is no doubt he will win the Best Villain Award for Padmaavat. It is almost taken. Surprise package of the film is Shahid Kapoor. He looks totally convincing in the role of Maharawal Ratan Singh. He steals the show. He is subdued at parts and under play the character with loads of maturity. His performance in Padmaavat is simply on par with his best, be it Jab We Met or Vivaah. He will earn lots of love and brawny points from audiences for sure in coming days. Rest all star cast gave first rated performances in the film. Verdict - Padmaavat is a Visual Spectacle! Film looks Hollywood standard. Even 3D work is top notch and definitely best in Bollywood till date. Film is packeted by power packed performance of the lead stars. Direction of Sanjay Leela Bhansali is also good. However, film lags in screenplay and editing. 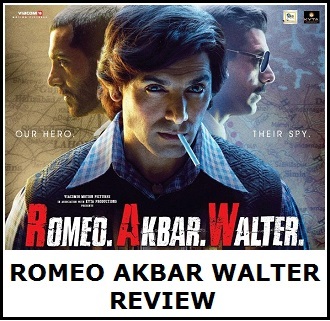 Screenplay is bit inconsistent specially post interval. Also, film could have been easily trimmed by 15-20 minutes. At box office, film will ride high because of initial euphoria and curiosity. Film is enjoying 5 days extended weekend from Wednesday (Paid Preview) to Sunday (5th day). Friday (3rd Day) is National Holiday because of Republic Day. Business on 26th January should be all time high as there is literally no challenge. We think film should collect anywhere between 175-200 crore nett at box office. We do hope film does much more than our expectations as there is lot riding with it. Rating - 3/5. Another half point for Sanjay Leela Bhansali for trying such colossal project. He is definitely one of the gems of Bollywood and we want more magic from him in coming years. And finally coming to main point. There is not a single point which is objectionable. Film is all about Rajput pride. Each 2 hour 40 minute is about glorification of Rajput community. Each Rajput and Indian will be proud of Padmaavat. Those opposing the release of film, instead of blocking, should ensure smooth release of the film. Yes, Padmaavat has few flaws. Still we want each Indian to watch this Historical Magnum Opus for the pure intention and honoring the pride of Rajput! Recommended! @ankur Do you know Gora and Badal?Do you know the history of Rani Padmavti? Actually TZH is a 2nd Tubelight..
Award are only meant for a group of persons. This is biased. Padmaavat only decoration is good but it is dull movie. Sajjad of Tzh is better as villain. IITx a Masterpiece. Every Indian should watch dis pride of Indian cinema. 2017 remember for Baahubali2 2018will be remembered for Padmaavat.